Dr. José Blakeley is a Partner Architect in the SQL Server Division at Microsoft where he works on server programmability, database engine extensibility, query processing, object-relational functionality, large scale query processing, and scientific database applications. Dr. Blakeley joined Microsoft in 1994. Some of his contributions include the design of the OLE DB data access interfaces, the integration of the .NET runtime inside the SQL Server 2005 products, the design of the extensibility features in SQL Server, and the design of the ADO.NET Entity Framework in Visual Studio 2008. 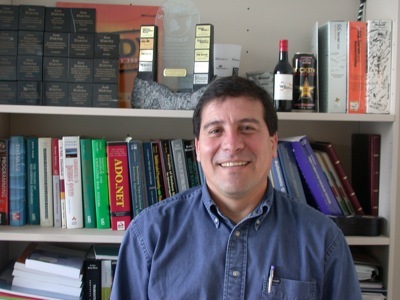 José has authored many conference papers, book chapters and journal articles on design aspects of relational and object database management systems, and data access. Before joining Microsoft, Dr. Blakeley was a member of the technical staff with Texas Instruments where he was a principal investigator in the development of the DARPA funded Open-OODB object database management system. He received a Ph.D. in computer science from University of Waterloo, Canada on materialized views, a feature implemented in all main commercial relational database products.